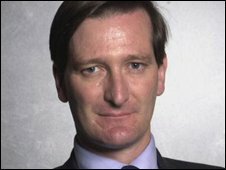 Tory home affairs spokesman Dominic Grieve wants detailed answers. Tory leader David Cameron says the government has questions to answer following the arrest of his immigration spokesman Damian Green. 1. Who initiated the original Home Office leak inquiry? 2. Did ministers approve it? 3. When was it initiated? 4. Who ran the inquiry and who had knowledge of it? 5. Were any ministers briefed about the inquiry, how were they briefed, when and by whom? 6. What did the prime minister know and when? Did he call for a leak investigation by the police in the first place? 7. Who made the decision to refer the inquiry to the Cabinet Office? 8. When was the decision made to refer the matter to the Cabinet Office? 9. Were any special advisers or ministers aware of the decision to refer the inquiry to the Cabinet Office? 10. When did the Home Office (or Cabinet Office) refer its evidence of leaks involving potentially criminal conduct to the Metropolitan Police? What were ministers told about the referral? Did ministers ask to be kept informed of developments? 11. Who made the decision to refer the matter to the police? 12. When did they make that decision? 13. Were any special advisers aware of the decision to refer the matter to the police? 14. At 05:50 GMT on 11 November, a Home Office official was arrested in the early hours of the morning by counter-terrorism police in connection with leaks. Were ministers aware that counter-terrorism officers had been dispatched? 15. Were any civil servants, special advisers or ministers briefed about the arrest of a Home Office civil servant in connection with the inquiry? 16. Did the arrest of the civil servant also involve SO15 or other counter-terrorism officers? 17. What contact was there between the police and any minister, adviser or civil servant regarding the progress of the inquiry between the civil servant's arrest and Damian Green's arrest? 18. It is reported that Mr Green's name was provided to the police on 11 November. Between the arrest of the official on 11 November and the arrest of Mr Green on 27 November, what further update did Home Office officials receive on the course of the subsequent police investigation? What was communicated to ministers and when? 19. When did Home Office officials know that the police were investigating a Member of Parliament? Who was the most senior official informed? When were ministers informed? If they were not informed, why not? 20. Was any special adviser, press officer or minister aware that a politician was being investigated? If so, when did they become aware? If the mayor was informed in advance of the police operation, why weren't ministers also informed? 21. The guidance on the offence of misconduct in public office states: "A charge of misconduct in public office should be reserved for cases of serious misconduct or deliberate failure to perform a duty which is likely to injure the public interest". In what respect was it suspected that Damian Green might have done this? 22. Who in the police approved the decision to inform the mayor about the proposed arrest of Damian Green? 23. Who in the police decided not to inform any government minister about the proposed arrest of Damian Green? 24. Why was it decided to inform the mayor but no minister? 25. Was any adviser or civil servant made aware of the proposed arrest of a politician? 26. Why were counter-terrorist officers involved in the arrest? Why were nine involved? 27. Which government advisers and press officers were briefed about the arrest and when? When did they first discuss the matter with the press? 28. Was the immigration minister briefed regarding the inquiry in advance of his interview on the Today programme and if so what was he told and by whom? 29. If ministers had no knowledge of the inquiry, why did Immigration Minister Phil Woolas say on the Today programme that "this is not…from the information I have, the knowledge of the arrest that has been made, not as straightforward as your question implies"? 30. What steps did the prime minister take to clarify that no minister had been involved? 31. Is it conceivable that the home secretary and prime minister remained oblivious to the investigation and arrest of a Member of Parliament between 11 and 27 November? 32. Who was the most senior police officer who took the decision to authorise the arrest of Mr Green, and the search of his two residential addresses, constituency office and office in the House of Commons? Was the Commissioner aware, and did he authorise the decision? Why were counter-terrorism police dispatched to the House of Commons? Why did police not seek to interview Mr Green on a voluntary basis? Why did they wait until 28 November, the first day when the House of Commons was not sitting, Members were not present and no objection could be made to the Speaker? Why did they wait until the last day in office of Sir Ian Blair as Commissioner? Were the CPS consulted, was the DPP aware of these decisions and what authorisation did he give? 33. When did officials or ministers know that Mr Green's office in the House of Commons would be searched? a. Did the Speaker authorise this operation? b. If not, who did and on the basis of what evidence? c. Was a search warrant obtained for Damian Green's office in the House of Commons? d. Who was the most senior ranking police officer who authorised the decision? e. Who was the most senior official in the Home Office who was aware? f. When did the home secretary and other ministers know? g. When did the prime minister know? h. If the mayor was informed in advance of the police operation, why weren't ministers also informed, given that the Home Office has responsibility for the Met's counter-terrorism police? i. Which member of the House of Commons authorities permitted the police to suspend Mr Green's Parliamentary e-mail? j. Since they have seized Mr Green's Parliamentary computers, how will the police protect the privileged relationship between an MP and his/her constituents - not least in relation to matters that may involve the police? k. Is it not a breach of Parliamentary Privilege for the police to arrest a Member of Parliament for using information he received for Parliamentary purposes?